Looking for private in-home or in-studio Clarinet lessons? Our Rancho Cucamonga teachers are ready to get you started. Find your teacher today! Check out some of our most popular teachers near Rancho Cucamonga, CA including Riverside, Corona, Fontana, Redlands and Apple Valley. Students can expect to learn in a setting that’s both challenging but understanding. I stick to standard etude books for establishing fundamentals but also encourage students to voice what they’d like to play or learn. I have played Clarinet for 15 years, and taught for 2. Currently I am pursuing a Bachelors of Music in Performance at California State University-Long Beach. My previous instructors include Mr. Paul Bambach at the University of California-Santa Barbara, and Dr. David Lopez at Cerritos College. Currently I study with Dr. Michael Grego at CSULB. Outside of Cal State Long Beach, I also am an active member of the Los Angeles Clarinet Choir. Over the years of my own private instruction, I have been taught in manners which promote self analysis, the standard development of technique and control and keep the experience enjoyable and fun. This is a method I try to implement when teaching clarinet, or music theory to a student. He was very professional and knowledgable of the Clarinet. Very nice and helpful, especially with advanced playing. Looking forward to my next lesson. Jason is one of the best when it comes to clarinet instruction. His knowledge of the clarinet and of music is exceptional, as well as practice technique. I highly recommend him to anyone who has the desire to learn and become better as a musician of clarinet. I specialize in trad jazz and swing. I don’t teach THE INSTRUMENT - you can get that from others; I teach THE MUSIC. I can offer you something you won’t get elsewhere: an understanding of the role the clarinet and sax play in a trad or swing band. How do you choose what notes to play in the ensembles and on your solo? Whether you've played other styles and would like to learn trad/swing, you've played trad/swing but want to hone your skills, or you're new to music altogether, I CAN HELP YOU. I’ve made my living for nearly thirty years specializing in jazz of the 1920s and ’30s - the genres commonly referred to as “traditional jazz” (or “trad”) and swing. I’m the clarinet instructor at the New Orleans Trad Jazz Camp, the San Diego Adult Trad Jazz Camp, and the newly founded New York Hot Jazz Camp. I don’t actually teach THE INSTRUMENT - that’s something you can get from thousands of professional instructors. What I teach is THE MUSIC. I have something unique to offer you, which you won’t be able to get from other instructors: a comprehensive understanding of the role the clarinet and saxophone play in a traditional jazz or swing band. How do you choose what notes to play (or not play) during the ensembles and on your solo? ve played trad jazz/swing but would like to hone your skills, or you're new to music altogether, I CAN HELP YOU. For over more than 20 years I have had many successful students, who have enjoyed playing and studying with me. Teaching is a life-giver for me--I enjoy introducing students to the joys of different musical ideas, concepts, and ways that they can advance on their instrument. Things that I have enjoyed learning and playing over the years, that I can pass on to them to explore and enjoy. I hold both a Bachelor’s and Master’s Degree in Music, and have taught as an adjunct on the college level, high school, and privately. On the college level, I have taught clarinet, saxophone, and flute at three colleges, a Woodwind Methods class for five years, developed jazz ensembles, and developed and procured music for woodwind trios and saxophone quartets. I have played professionally in these settings; jazz, symphonic, pit orchestra, and general business entertainment freelance as a woodwinds specialist. iness entertainment freelance as a woodwinds specialist. I am dedicated to helping students improve on their instrument and work toward their own personal goals. All ages and all levels are welcome. I think it is important to build on a foundation of technique, sight reading, and music theory, but also have fun in the process. With a BM in Clarinet Performance, I am currently working on completing my MM in Performance at CSUF. I am a performer, teacher, and student. While working towards a Masters in Performance with the Los Angeles Philharmonic's Burt Hara at Cal State Fullerton, I have subbed with local orchestras as well as participated in recording projects in Orange County. At the University, I perform with the wind symphony, orchestra, and new music ensemble. I found my passion for playing at a young age. I believe that although it is important to build good technique, practice habits, and musicality, it is also important to keep the passion and joy that playing music can bring us. As I grow as a person and a musician, I always try to remember what brought me to music in the first place: playing and enjoying music with my friends and peers. 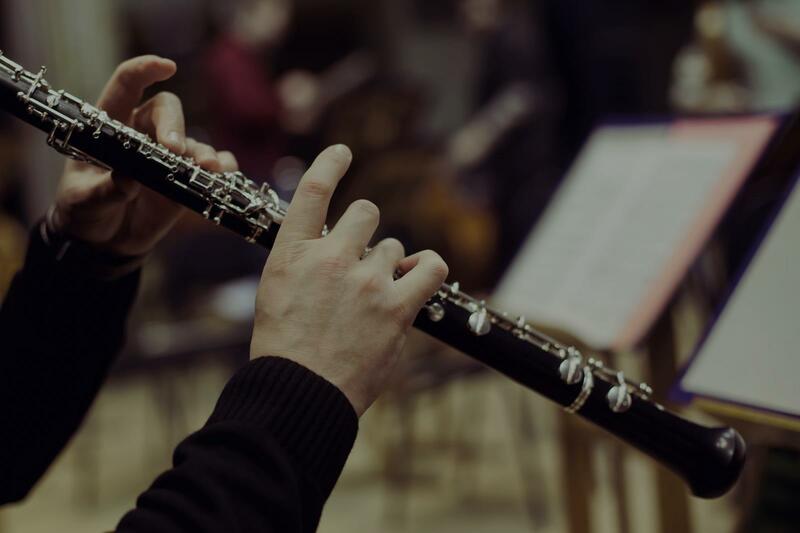 Aside from performance, I discovered my passion for teaching as I started working with students in private lessons and working as a camp counselor at a woodwind camp. I was invited to sub with the Auburn Symphony and was excited to perform Tchaikovsky’s Symphony no. 2 beside my mentor and friend, Jennifer Nelson. Today, I am indebted to the inspiration my uncle gave me as a child and all my teachers for my opportunity to pursue a Masters of Music in Clarinet Performance at Cal State Fullerton. So far I’ve spent only a few weeks as a student, but even with a few lessons, she was and to point out the very and fix the very little things that overall greatly impacted my playing as a young clarinetist. Can't find a teacher in Rancho Cucamonga, CA? "Eric is an excellent teacher. I signed up for classes to help my grandson improve his skills. I would recommend Eric to anyone needing lessons." uments. I would recommend him to anyone for lessons. "My son was very happy with the lesson and his self-esteem jumped upwards 100% Thank you, Eric!"